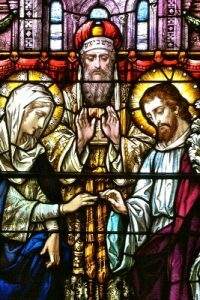 The first and foundational sacrament in which we are freed from original sin, given a share in God’s life, and welcomed as members of the church. Parents who wish their child to be baptized should contact the church office. Baptism class is recommended for all parents. 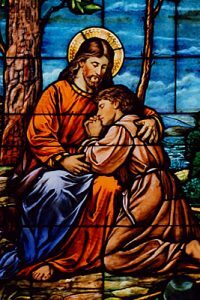 The sacrament in which, through God’s grace and mercy, our sins are forgiven and our friendship with God and the entire Church is reestablished. 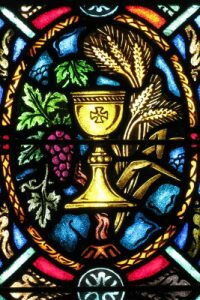 The sacrament of the Body and Blood of Christ, who is truly present under the appearance of bread and wine. 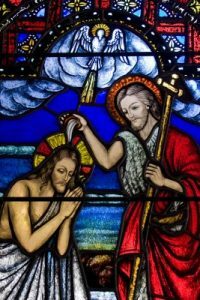 The sacrament which seals us with the Gift of the Holy Spirit first received in Baptism. 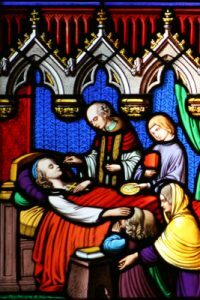 This sacrament is the continuation of the Lord’s Compassion for the sick. The sacrament that joins a man and woman together for life. 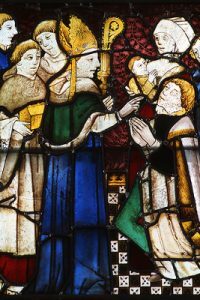 The Diocesan regulations require that couples must make arrangement with the priest at least six months in advance. Pre-Marriage instruction is required.